As the Thunder beats in the sky, so should the strong heart of every Warrior. It is very important to eat a heart healthy diet, exercise regularly and maintain a proper weight. 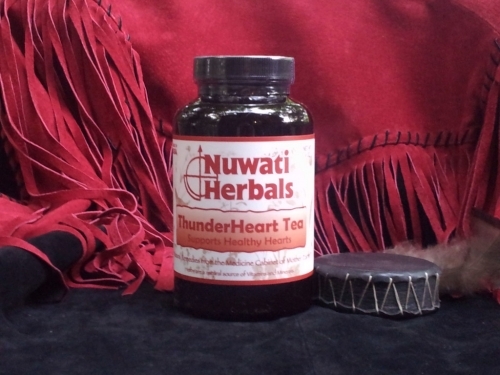 Caution: If you are on Heart or Blood Pressure Medications or have a known Heart condition, consult your health care professional BEFORE drinking this tea or taking any herbal supplements.Consult your health care professional prior to use if you are pregnant, nursing, take any medication or have a medical condition.